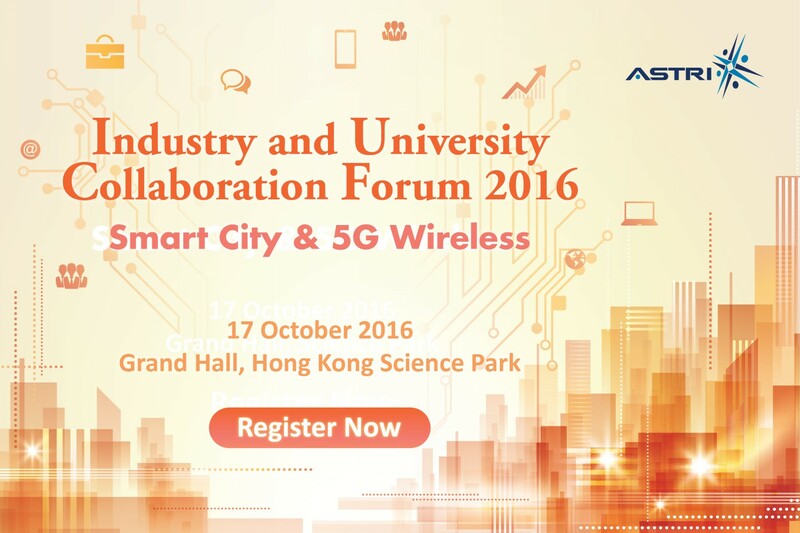 You’re cordially invited to join the forthcoming ASTRI Industry and University Collaboration Forum 2016 (IUCF): Smarty City & 5G Wireless, which will be held on 17 October 2016 at the Grand Hall, Hong Kong Science & Technology Park. IUCF 2016 aims at bringing together our current and potential partners from industry and academia to share insights and explore collaboration opportunities in research and business. The theme for this year is “Smart Cities and 5G Wireless”. Many interesting topics relating to the latest development of technologies that facilitate smart living, smart connectivity and smart mobility will be discussed in this Forum.